The Anaheim of today is a vibrant city with many historic districts, a far cry from the times of the original German farmers who came here to grow grapes for the production of wine. 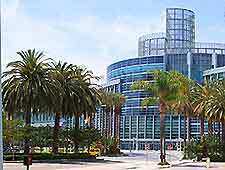 The area of Anaheim where they settled is now the center of the city, known as downtown Anaheim. Since the advent of Disneyland in 1955 and the arrival of the subsequent tourist dollar, the city has grown considerably, both in wealth and stature. Anaheim is now surrounded by many sprawling suburbs, districts, boroughs and communities where theme parks continue to spring up and shopping, dining and entertainment options are in abundance. 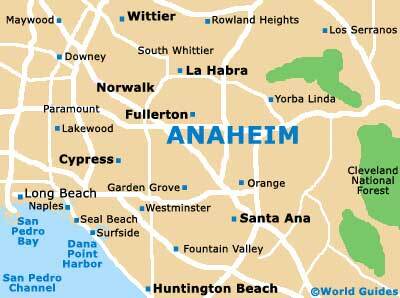 Here are Anaheim's main districts and neighborhoods. Lying on the eastern edge of the Los Angeles conurbation, Anaheim Hills is made up of open spaces and fantastic views, while also offering many opportunities for outdoor recreation. Encompassing Peralta and East hills, the Anaheim Hills area is ideal for golfing, hiking and horseback riding, and makes a pleasant alternative from the city and its theme parks. Old Towne Orange is known as the antique capital of California and was established back in 1871 as Richland. Not far from Anaheim and Disneyland, the town is a perfect square mile of streets and avenues loaded with antique shops, tea rooms and restaurants, with the oval Plaza Park at its core. Local landmarks include the Victorian Fountain and the town's yuletide icon, Norfolk Star Pine Tree. Situated just to the northwest of downtown Anaheim, Buena Park is loaded with choice entertainment options in its famous E-Zone. Star attractions in Anaheim's Buena Park District include Knott's theme park, Medieval Times Dinner and Tournament and the Movieland Wax Museum. Anaheim's Downtown Disney district, where there is plentiful shopping, dining and activities for the whole family, is the place to come for nighttime entertainment. Major attractions here include the ESPN sports zone, House of Blues, a huge movie theater and the Build-A-Bear Workshop store. Fullerton is an unassuming district of Anaheim and home to the College World Series Champion and the Titans. 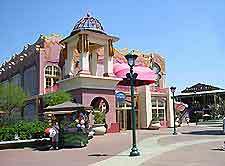 The area lies just north of Anaheim and also boasts numerous restaurants and nighttime entertainment facilities. Located to the southeast of Anaheim and south of Orange, cosmopolitan Santa Ana is the administrative center of Orange County and is renowned for its cultural diversity. Museums, art galleries, a zoo and a historic core provide sightseeing opportunities in Santa Ana. 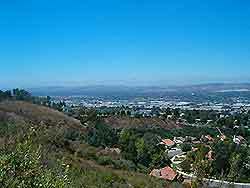 Set to the northeast of the city between Anaheim and the Chino Hills State Park, Yorba Linda, named after Spanish explorer Jose Yorba, is known for its numerous parks and is a lovely, peaceful community to spend time in.